COLOMBES, France--(BUSINESS WIRE)--As announced at the Taipei JCB World Conference, on November 2, 2017, IDEMIA, the global leader in Augmented Identity, and JCB, the leading international payment network in Japan, have started the pilot of the first F.CODE Japanese payment card. “F for fingerprint”: embrace the future of payments with biometrics. F.CODE takes card payments to the next level since your fingerprint replaces the PIN code and so reinforces user’s security and privacy by ensuring a unique and universal identification. F.CODE makes customers and retailers’ lives easier: no need to remember a new PIN code, your fingerprint is enough. On the retailer side, it speeds up the check-out process as well as enabling banks and governments to adopt an innovative and secure technology for the future payment experience. F.CODE will enable seamless payment transactions without compromising security. 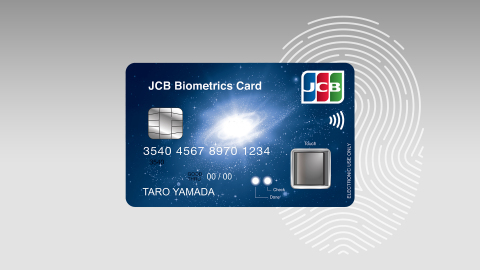 Recognized for its longstanding expertise and experience in biometrics and payment, IDEMIA has established a strong partnership with JCB regarding payment innovation in Japan. The two companies are proud to offer today, in close partnership with Toppan Printing for the card personalization activity, the “future of payments” to a country always eager to innovate. JCB is a major global payment brand and a leading payment card issuer and acquirer in Japan. JCB launched its card business in Japan in 1961 and began expanding worldwide in 1981. As part of its international growth strategy, JCB has formed alliances with hundreds of leading banks and financial institutions globally to increase merchant coverage and card member base. As a comprehensive payment solution provider, JCB commits to provide responsive and high-quality service and products to all customers worldwide. Currently, JCB cards are accepted globally and issued in 23 countries and territories.